Our primary service is creating high quality 360° panoramic images, Google Business View "Street View" virtual tours and custom coded virtual tours for businesses located in Connecticut, Massachusetts and New York. Photography is our passion. Specializing in panoramic, commercial, product, aerial and real estate photography we strive to produce the highest quality images to exceed our client expectations. As official Google City Partners we also help business claim and maintain their business listings on Google. Similar to the Street View cars but INDOORS with much higher quality. We use professional DSLR cameras and lenses. Tours links directly to the Street View on Google Maps... read more. We use the same high quality panoramas published on Google Maps and add a custom user interface with interactive features for display on your website... read more. Custom coded virtual tours take the user interface and available feature set to the next level. Custom designs are published directly to your website... read more. We have applied for and are currently waiting for our 333 exemption from the FAA before offering drone photography commercially. Expected in the Spring of 2016. We offer web and print ready product photography. 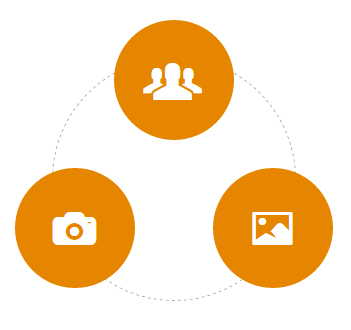 Still photography is included with every Google tour and is also published to Google Maps... read more. We love photographing real estate. We offer both residential and commercial photography. Sell or rent your property faster with professional photography... read more. Our process is simple and straightforward. We pride ourselves on our ability to find creative and innovative solutions. Typically the first step is to meet and discuss your potential project. During the initial meeting your expectations, possibilities and rough estimates will be discussed. We will tour your business, facility, and/or outdoor areas you would like covered with a virtual tour. Custom features, interface design elements and publishing platforms will be discussed and explained. Once we have a clear understanding of the goals for your virtual tour, we will present a detailed formal written quote. After we have finished the brainstorming, storyboarding and quoting process, we will set a date for the photoshoot. On the day of the photoshoot we will capture all of the images needed to create the virtual tour. Depending on the size of the venue, one, two or more days may be needed to capture all of the positions. Each panorama position is carefully chosen and if needed staged as desired. After capturing the images we will post process for correct white balance and color if necessary. The images are then stitched together as 360° spherical panoramas. Once we are satisfied with the panoramas and any final adjustment have been made to the images, it is time to publish them. Google Street View tours will be uploaded directly to Google's web servers. The panoramas will be linked together using Google's Street View editing software and positioned directly onto the map. Once all panoramas have been linked and positioned correctly they are published directly to Google Maps. Once published Google tours can be further customized for display on your website. Custom coded tours that are not published to Google will be delivered in a web deployment ready format. 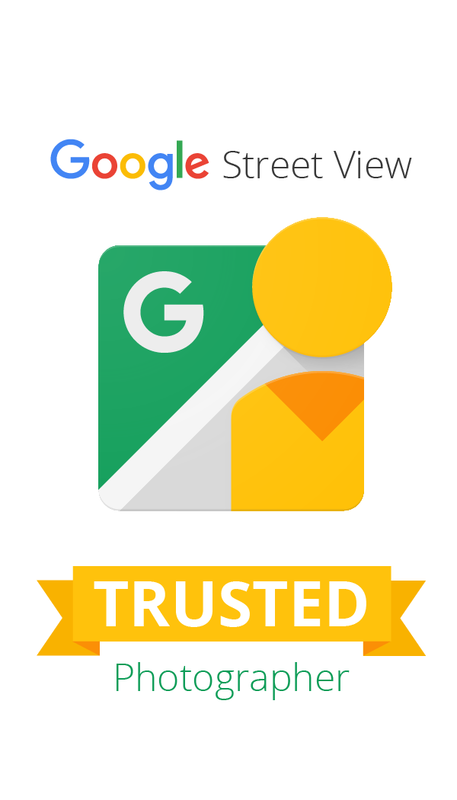 With almost 10 years experience specializing in 360° panoramic images, we offer the highest quality Google Business View "Street View" virtual tours and custom tours for businesses located in Connecticut, Massachusetts and New York. A Google Business View virtual tour is a collection of 360 panoramic images that have been linked together to allow a viewer to seamlessly move though a space. Tours are published directly to Google Maps and available from Search, Maps and Google+. The cost of a virtual tour depends on a number of variables. The number of scenes, the features incorporated and the extent of customization and branding. All of our tours are quoted on an individual basis. Please contact us with your requirements for a quote. A Google Street View photo shoot typically takes about an hour and images are published within a couple of days from the shoot. For custom tours, depending on the number of scenes and location, the photo shoot can typically be done in one day. Planning and building the tour may take several weeks if several on site consultations are required. We are located in the suburbs of Hartford CT and will travel to MA, RI, NY and beyond.